This piece is perfect for the smaller space. 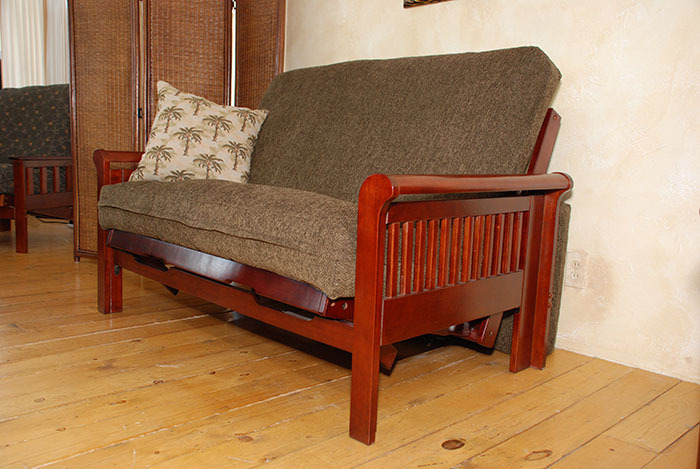 This loveseat-bed-lounger utilizes 60” of wall space but can be ordered in the smaller twin size also. An excellent furniture solution for your home office needs. 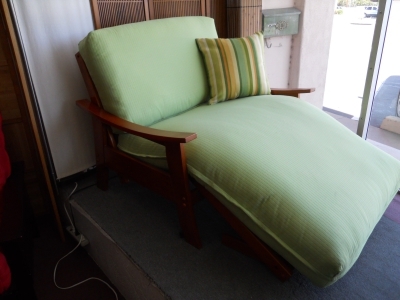 We now have a twin size chair and a half sleigh arm style in a chocolate finish with mattress.